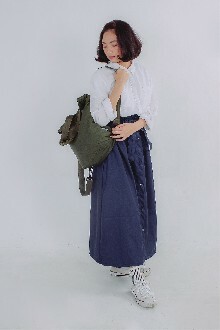 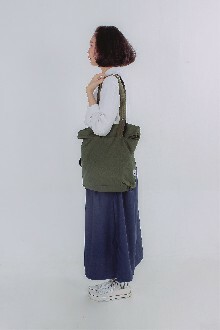 This bag called convertible bag, comes from it shape that can be changed as tote bag or back pack. The concept took from our daily needs, because we commute everyday, we need something to hold our belongings, and this bag also comes with water repellent materials, so when rain start pouring suddenly, your stuff is save. 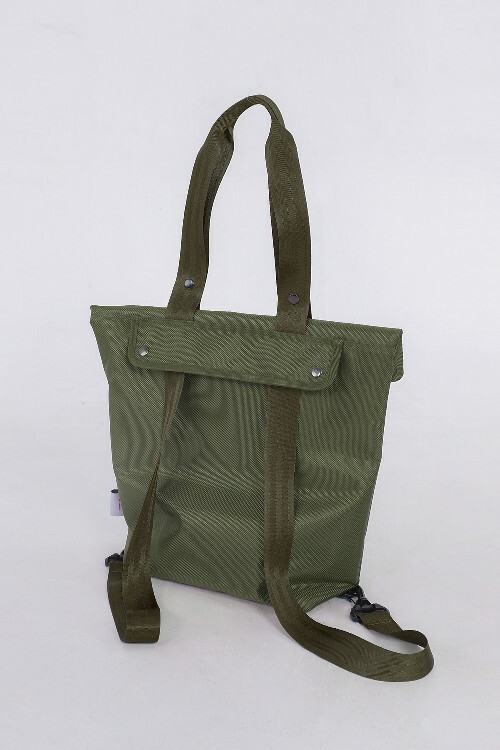 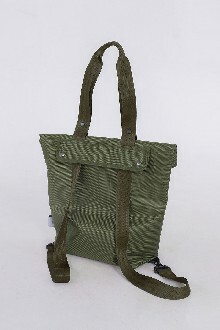 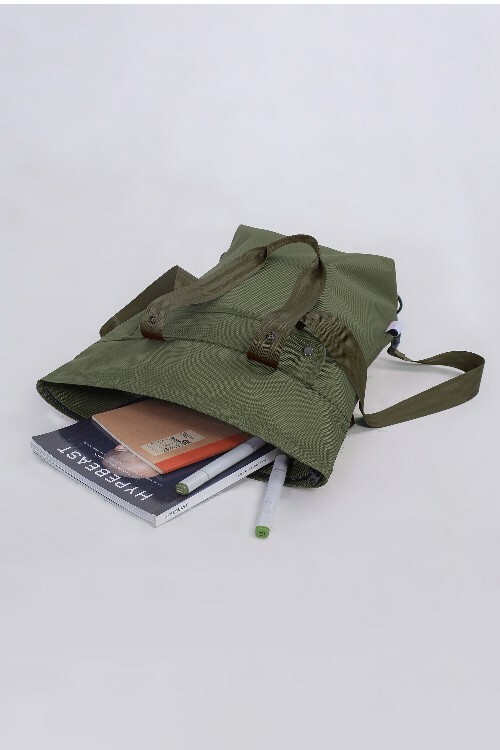 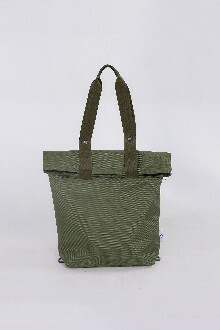 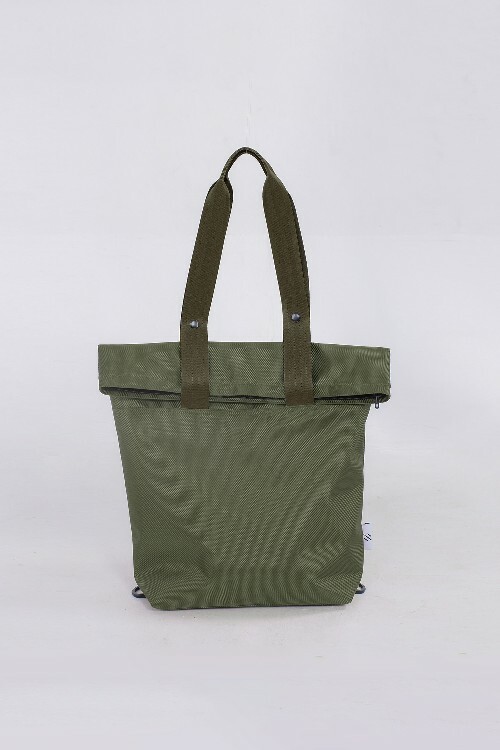 This bag will comes in two color “Black” and “Olive Green” , mainly there will be two compartments, the main one have a divider inside for notebook or laptop and stationery & other small things, on top, roll top model help to close the bag, and the other compartments is widely open at front. The convertible part works by pulling out the straps part from the small compartment.